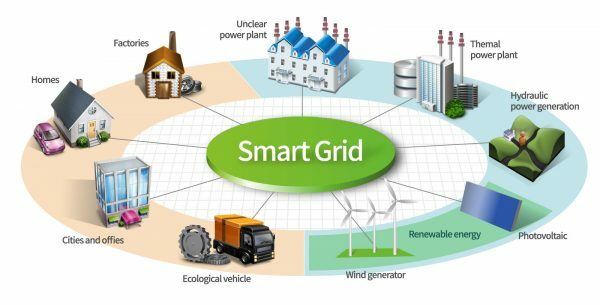 The Smart Grid concept combines a number of technologies, end-user solutions and addresses a number of policy and regulatory drivers. It does not have a single clear definition. It enables demand response and demand side management through the integration of smart meters, smart appliances and consumer loads, micro-generation, and electricity storage (electric vehicles) and by providing customers with information related to energy use and prices. It is anticipated that customers will be provided with information and incentives to modify their consumption pattern to overcome some of the constraints in the power system. It accommodates and facilitates all renewable energy sources, distributed generation, residential micro-generation, and storage options, thus reducing the environmental impact of the whole electricity sector and also provides means of aggregation. It will provide simplified interconnection similar to ‘plug-and-play’. It optimises and efficiently operates assets by intelligent operation of the delivery system (rerouting power, working autonomously) and pursuing efficient asset management. This includes utilising asserts depending on what is needed and when it is needed. It assures and improves reliability and the security of supply by being resilient to disturbances, attacks and natural disasters, anticipating and responding to system disturbances (predictive maintenance and self-healing), and strengthening the security of supply through enhanced transfer capabilities. It maintains the power quality of the electricity supply to cater for sensitive equipment that increases with the digital economy. It opens access to the markets through increased transmission paths, aggregated supply and demand response initiatives and ancillary service provisions.